3. Ferry: the most scenic option is to catch one of the half hourly ferry's from outside Oslo City Hall and get off at Dronningen. When visiting Vikings, it feels fitting to arrive as Vikings would have done- by water (and screaming). 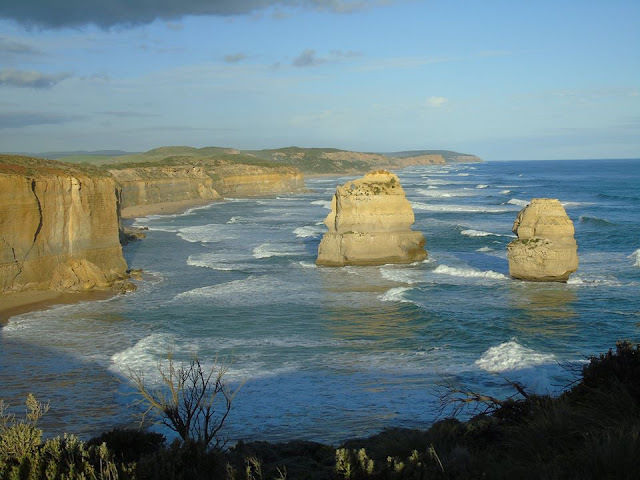 Opening hours depend on the time of year you intend to visit. In the Summer months (May - September) the Museum opens 9am - 6pm. In the Winter months (October - April) admission is between 10am - 4pm. Arriving early is highly recommended as the museum can become incredibly busy by mid morning. Ticket price is 100NOK per adult, under 18's free and concessions available. 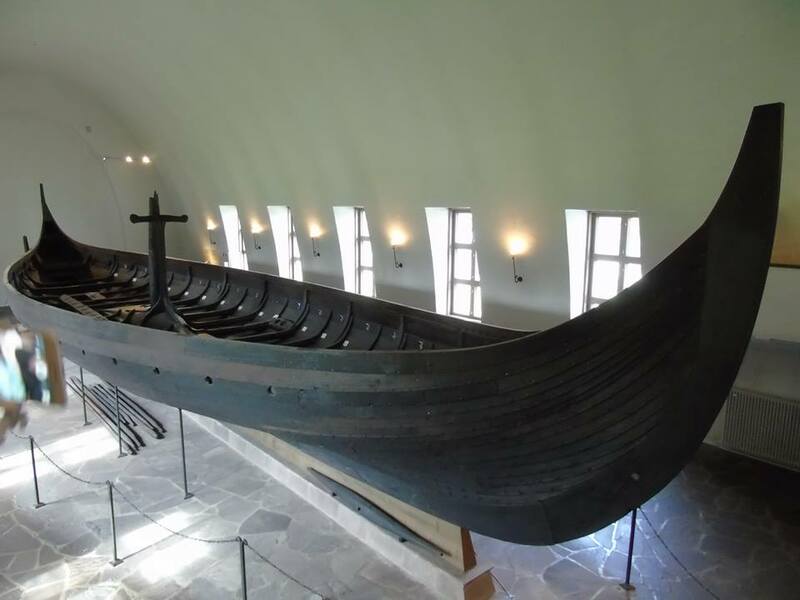 Immediately as you enter the museum you are greeted by the imposing hulk of the first of the three preserved ships - the Oseberg ship. The Oseberg ship was discovered by a farmer in a burial mound on his land in 1903. Whilst a relatively short period of time was used to excavate the ship, it took 21 years to then return it to the outstanding glory that it is today. It rightly maintains pride of place in the Museum and is truly breath taking. The Museum offers insight into the lives of the two women who were buried within the ship, going so far as being able to tell how the older of the women died! 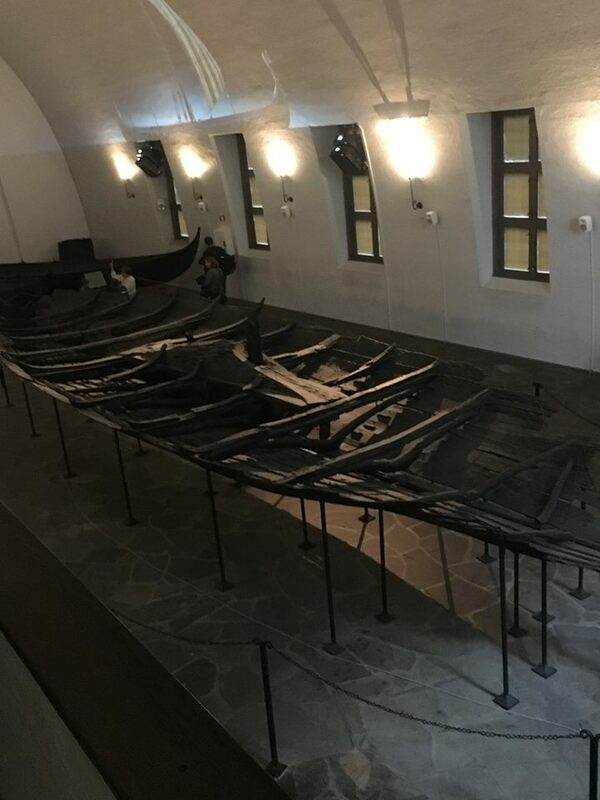 Passing through the main hallway and past the Oseberg ship, you will find the Gokstad ship in a separate hall to your left. 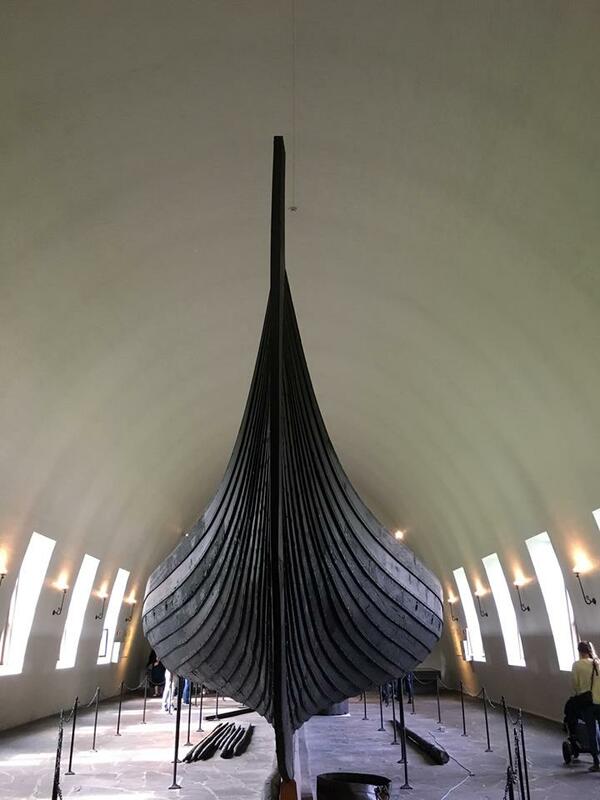 This is a little hidden gem - it draws less attention than the more ornate and hulking Oseberg ship which allows time for a bit of quiet awe. I think what really struck us is how much craftsmanship must have gone into creating a ship that has lasted over a thousand years, without modern tools or techniques, and that it has survived to this day. We once tried to make a flat pack cupboard and to this day we can not get both doors to shut at the same time! Discovered by bored teenagers in 1879, the ship was used as part of a burial and was found with a full compliment of yellow and black painted shields along its side. 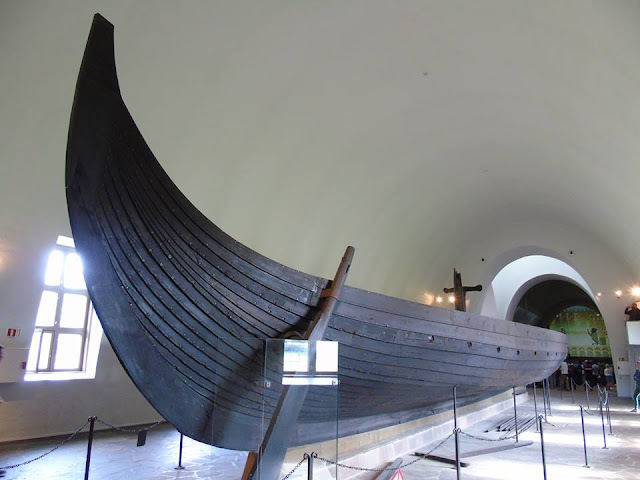 The Tune ship is believed to have been built around 910AD and is the smallest ship on display. In the same hall as the Tune ship the Museum runs a short film about Viking life and how the Vikings travelled across the seas. The film is displayed across the walls of the hall making it a submersing experience and super cool! 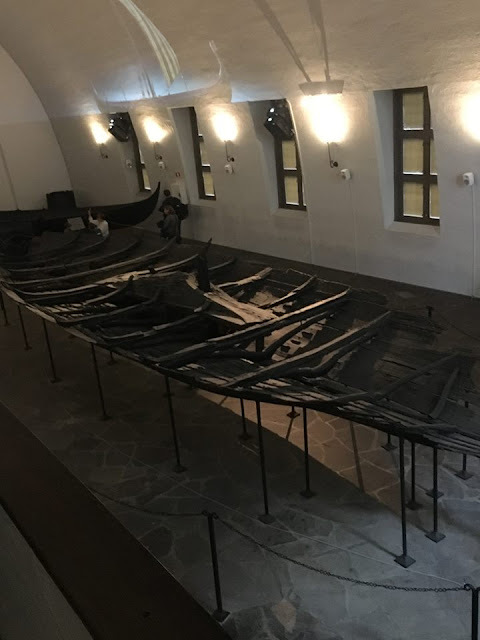 If three real life Viking ships are not enough excitement for you then you can always stay and admire some of the other archaelogical finds taken from the dig sites. The entire museum is incredible and well worth 100NOK and two hours of your day. It does get exceedingly busy and so early arrival to really enjoy the ships before the crowds is highly recommended. 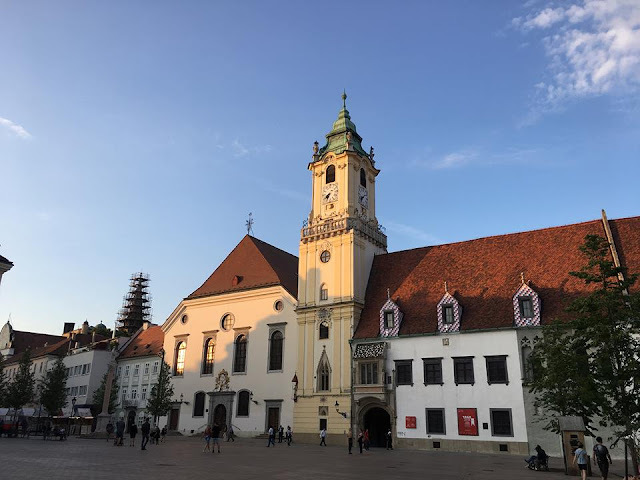 Once you have had your fill of Viking ships and plundered the gift shop, you might want to see what else Museum Island has to offer- particularly enjoyable were the Kon-Tiki Museum and the Fram Museum (you can climb aboard a polar expedition ship! 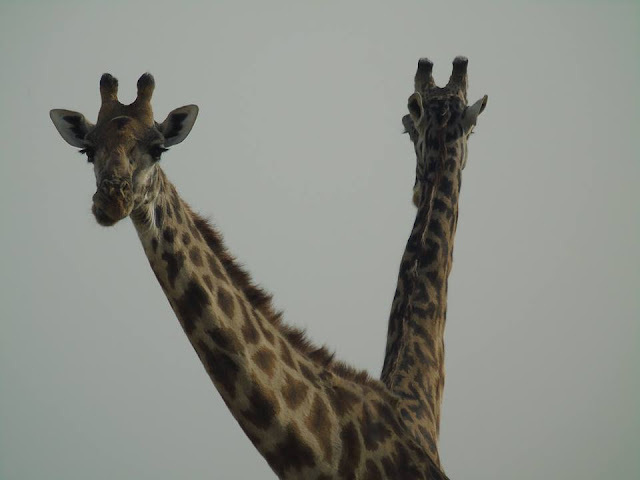 Just watch your head if you are over 5 feet tall!). Thoroughly bouyed up by our up close and personal experience with the Viking ships we decided to end our stay in Oslo by seeing the city as the Vikings would have done- from the water- by trying our hands at Kayaking. Safe to say, the Vikings were probably a lot more athletic than we were, although I like to think that we managed to quaff beer like a Viking whilst recovering! I would love to hear from you if you have been to the Viking Ship Museum or have any suggestions for things we should do next time we go to Oslo- because we will certainly be going back. I'm very much intrigued. When I saw an ancient Korean battle ship in person, I was amazed by how people at that time were able to engineer something so scientific and solid without computers. When I finally make it to Oslo, I'd love to visit this museum. Thanks for sharing. I still find it so incredible that we have so much history available to us. Given how quickly the world adapts it's so lovely that we're able to look back on pieces and see for ourselves how tools, equipment, transport and so much more have all evolved!